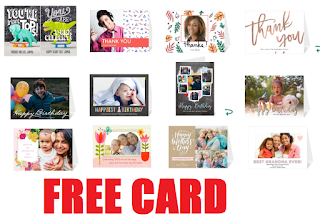 Free 5"x7" Folded Custom Photo Greeting Card + Free Pickup at Walgreens. VALID UNTIL MIDNIGHT ONLY, order it before midnight and pickup any day. Make somebody a cute personalized birthday card, anniversary card, Mother's day card or anything else you want.